British Transport Police is working to identify the driver of a lorry that collided with a level crossing barrier near Battle. Trains were delayed for a number of hours as engineers from Network Rail carried out urgent repairs. A spokesman for British Transport Police said: “British Transport Police is aware of a collision that took place on a level crossing just after 1pm Friday, September 7, near Battle, East Sussex. “Our officers are continuing to make inquiries into this incident. 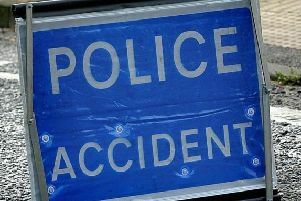 The collision happened in Mountfield and affected traffic in the surrounding area. A Network Rail spokesperson said: “Police are investigating after a lorry struck a level crossing barrier in Battle on Friday. “Our engineers were on site shortly after the incident to remove the broken barrier from the track and carry out urgent repairs. “For safety reasons, we had to slow trains down while the repairs were completed, which we were able to do without closing the railway. Both rail lines were initially blocked after the collision but the Hastings bound line was reopened at approximately 1.30pm, Southeastern said. The London bound line was reopened just before 2pm but disruption between Hastings and Tunbridge Wells continued until Friday evening. The police spokesman said British Transport Police was leading the investigation.